With the busy season I decided to combine a few challenges this week !! First over at the Fantabulous Cricut we are having a super easy challenge to create ANYTHING with a ribbon! How easy is that? Be sure to link up your project by Sunday !!! The second challenge was over at Peachy Keen whom I am in love with, their challenge was to make a holiday invitation, so I made this for a Christmas neighborhood light party with a quote from my favorite movie "Christmas Vacation". 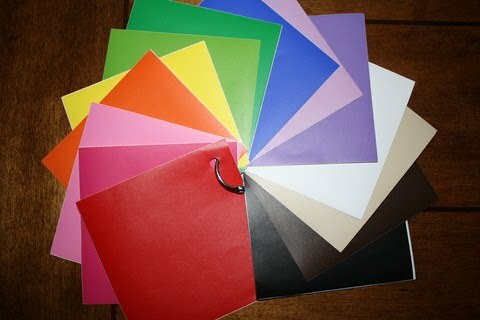 The third challenge is for the Cricut Circle to incorporate the color black and something recycled. This invitation/card was created with Jolly Holidays, Christmas Cheer, Stamping, and Create a Critter Cricut cartridges, also used was Peachy Keen Simple Simon and Everyday face stamps . Black Friday Blog Hop winner !!! Michelle this is sooo cute! I love that. 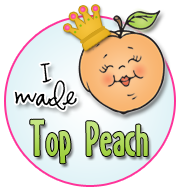 First I want to say THANKS to Jenny at Crazy about Cricut for letting me in this hop !!! If you have come from Yolanda at Crafty Scentiments then you are in the right place !!! If not you can start at the beginning HERE. This video is a how to and I will also giveaway one of these away personalized with YOUR name or a name you choose. 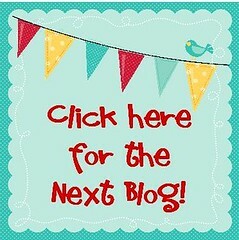 All you have to do is follow my blog and leave me a comment !!!! Thanks sooo sooo much for stopping by I truly appreciate it !!! Your next stop is....... Erika with some Cricut Love!!! So I haven't been able to see the infomercial yet BUT check out this link. Scroll to the Bottom and there is a video! I have 2 projects in it, the rooster candle wrap and the BBQ bottle "Secret Sauce".............then look just below in the strip that says gallery...mine is the 3rd project of snowflake candle holders! How exciting !!!! Im sooo excited...LOL can you tell? Very Cute and Creative Project Michelle! Thank you soo much for all your tips and ideas you share with your Followers. Great Inspiration for Holiday Gifts! Thanks soo much for sharing your Talent! Besides my kids and husband I am thankful for CHOCOLATE !!! I made some Thanksgiving M&M sticks with Mini Monograms and Celebrate with Flourish cricut cartridges. I also inked the yellow, used diamond stickles and a white gel pen. 30 days of gift giving blog hop !!! I decided to do an etching project. Below is my cute cup with a girl bug head on one side and the wording "Bug Juice" on the other. Perfect for coffee, hot chocolate or whatever beverage you like !! If you follow my blog and leave me a comment you will be entered to win a small bottle of etching cream and a 6x12 piece of vinyl, to create your own special project !!! 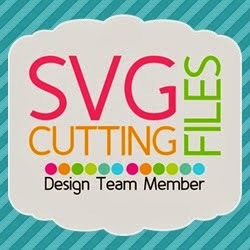 As most of you know 4 of my projects were selected by Cricut to be considered for their next infomercial. 3 of the 4 projects have been selected to be on their exclusive project DVD !!! Im so excited, so thank you to all who follow and like my work! So when are we going to see this infomercial? It all starts TODAY !!! None of us knows whos projects made the final editing cut of the actual airing.........so here's the schedule and we can all watch together !!! Unsure what time zone this is, she thought it was Eastern time !!!! First Easel card with Peachy Keen Stamps! 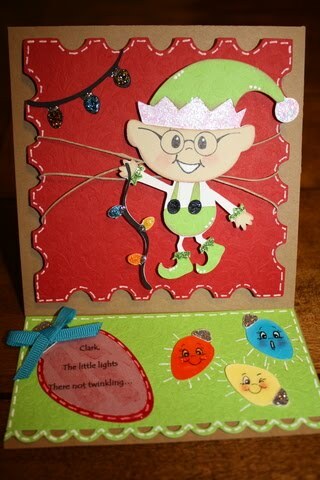 This card is my first easel card and Erin was right they are alot of fun !!! For the Peachy Keen challenge I needed to have PK stamps of course, polka dots and be mostly white. Soooo whats white? SNOW! !!! 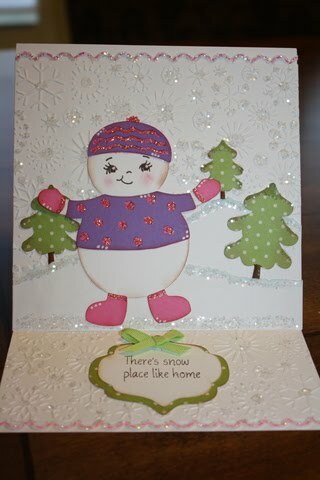 For the cute snowgirl I used Peachy Keen Princess stamps (PK-640), Snow Friends cartridge and Fruit Punch stickles. The trees and tags were cut from the Winter Frolic cartridge and a MPS stamp used. I wanted to keep this card clean looking and I hope I achieved that! I created a little get well bag for someone with a cold. I used the new Car Decals cartridge and a fiskars punch...what friend wouldn't smile receiving this even when they dont feel good? Enjoy~ and join us to participate in this challenge !!!! Cricut Bug Head Winners !!! Thanks so everyone who visited my blog the las two days! I hope everyone found my video helpful....... I picked 5 to receive a bug head made by me...you can choose from an OUTDOOR cricut green bug head or an INDOOR bug head in any of the colors I have shown in the post below. Ok OK on to the winners chosen by random org. what a great video... thanks for sharing! I've been excited all week for a chance to win one of the bug heads!!! Thanks for the great video I'am to say the least vinyl challenged this will help alot!! thanks for the chance to win the cute bug head!!!! I have to say that I've always been intimated by vinyl projects, but thanks to you, I'm not anymore!! I like the green bug head with the eyelashes. Very cute Michelle, would you believe that I have never cut vinyl! I would love the original bughead to put on my car! You make video's look so easy! I need more practice! Congrats Ladies please email me at michelle@scrappinwithmybug.com and put winner in subject line. THANKS !!!! So many of you have asked how to cut vinyl, so I put together a video of the basics and step by step of how. Theres also tips on how to save money! Now for the giveaway !!! I will pick 5 that's right 5 people to receive a vinyl bug head made by me !!! You will get to choose a Cricut green for your car window or any color below made from indoor vinyl !! Also you will get to choose from 4 bugs... WATCH the video and tell me which bug head you would like to win by commenting on this post and if you would like please become a follower. I will draw the winners Saturday night and post the winners on Sunday morning!!! The circle challenge is to have two elements a type of bird and stitching of some kind. So I made this out of vinyl, ribbon, rhinestones, and used my white gel pen for the stitching. Thanks so much for stopping by !!! The challenge over at the Peachy Keen blog is to create an winter ornament using their awesome PK stamps!!! This started as a plain glass ornament and I had an idea to stamp my cute faces on vinyl and it worked! I even colored the cheeks and the snowman nose. Disney-Pooh and Friends and the NEW Winter Lace Cricut cartridges !!! 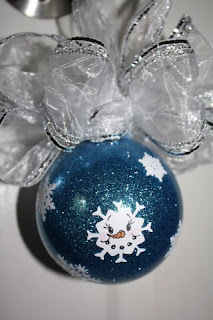 For an extra special touch you can also put someones name on the ornament and the year you gave it too them.....the possibilities are endless !!! If you are in Northern California and wish to attend my classes, We will be making these along with a Thanksgiving project using Peachy Keen stamps, email me for details !!! Cricut Cake video & Blog Hop Winner!!! What a great idea. I hope you do not mind if I lift it for my wall. I have company coming for Thanksgiving, and I know they will be impressed. Congrats girl I dont mind at all !!! Thanks to everyone who hopped and a BIG thanks to Ruthie who organized this great hop, I had a great time !!!! Welcome to the Banner blog hop !! I made a Thanksgiving themed banner! Click the video below for my creation, directions AND what the giveaway is. (To be entered in the giveaway please click on "follow", then leave a comment) Thanks ! Remember to follow and leave a comment for the giveaway before you HOP to Momo's awesome blog! Tell your friends they have all weekend to hop too! I will draw a winner and post it on Monday !!! Thanks sooo much for hopping by !!! I know you must think is this ALL she does??..... I think I missed my calling I should of been a professional shopper for someone. I love to do it LOL !! Haul video , AWESOME prices !!! Check out what I got yesturday Im SOOO excited, what a STEAL!!! This week at the Fantabulous Cricut its all about Birds! I recently made some baby cards for a childrens store, so this fit perfectly with the challenge. I used the New Arrival cartridge and used a Recollections border punch for the X's at the bottom, then of course added stickles!! Join in the challenge by heading on over to the Fantabulous Cricut !! !